““Nutrition doesn’t heal. It doesn’t cure. It doesn’t do anything,” Dr. Pickering says. “It’s a science though and it never changes… Here’s what nutrition is: it’s a series of four processes that your body employs to make food materials for the body to use.”” — Dr. Wayne Pickering, Naturopathic physician, East Coast of Florida. Logically speaking, what you eat has a direct bearing on how it is digested inside your stomach. “Why?” you ask – it’s because the human body and its alimentary system is a complex lab in itself where one sort of chemical is produced to digest a protein and another for a starch. Naturally, if you have a starch and protein together, your alimentary system, no matter how smart it is, gets confused as to what it should secrete. End result, your body hasn’t been able to digest either and you’re in for a painful time. So the food you take in will get digested and assimilated in the body only when you eat it in the right combination. Unless you eat your meals in the correct combination, the body will not be able to digest it, nor will it be able to make the ‘nutrients’ that the body can absorb and assimilate. Because the digestive system does exactly that – it breaks down the food you eat into particles that are usable by the body. And the particles that cannot be absorbed or used are expelled from the body. Bottom line – if you want your digestive system to function as it should, you will have to understand food combinations and help your body, rather than confuse it with a jumble of food types. Your body can only start digesting protein in your stomach with pepsin – the acidic enzyme that only works in combination with hydrochloric acid. For starch, your alimentary system has 3 levels of breakdown – starting with the mouth (saliva), then in your stomach. Starches can be digested with an alkaline medium. Working with the above example, if you have protein (say meat) and starch (say potato) together, then your stomach will release acid for the meat and alkali for the potato. But given that acids and alkalis neutralize each other, neither of these will work – and neither the meat nor potato gets digested. Result – heartburn, gas, bloating and indigestion. Keep a 2 hour gap when you eat a starch followed by protein. Keep a 3 hour gap if you’re having a starch after protein. Fruits contain double or single sugars, but starches are triple sugar – so fruits get digested much easily and in the third or fourth stage (when it’s in your intestines). But starch needs three levels of digestion. So when you’re having these together, your digestive system is thrown off. So have your fruits at least an hour before your meal. If you’re having melons with other food types or items, you’re in for indigestion. It’s best to have melons without any accompaniment and well gapped in between meals. 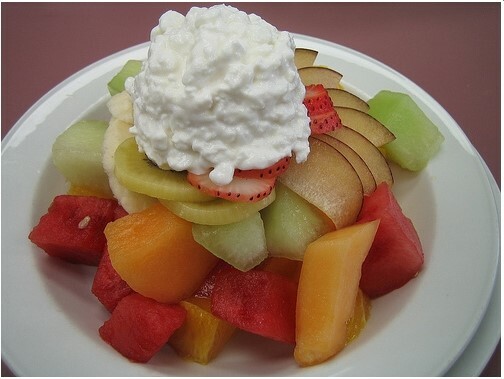 Morning Meal – least complex meals, try fruits. Midday Meal – Starchy carbs – slightly more complex, but not like proteins. Small but frequent doses. 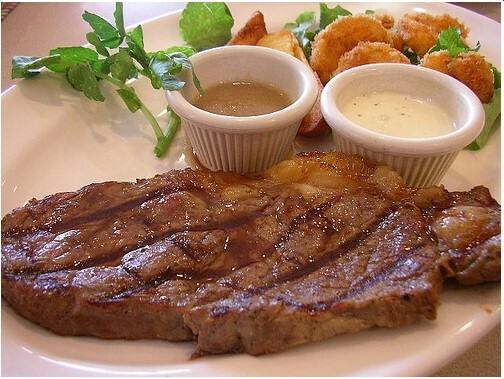 Evening Meal – most concentrated and complex meals – proteins – but in less amount. So the next time you sit for a meal, understand the food combination – and try and eat your meals accordingly. That’s the key to perfecting your digestion without suffering from heartburn. Plus, it helps your body assimilate and absorb the nutrients totheir fullest. ← The Best LONG TERM Cure For Heartburn – Naturally!